Is your Anxiety a disease? Some fear is normal, too much is an anxiety disorder. How can you tell if your fears and anxieties are normal or are they the signs of a more serious mental illness? In everyday language, there is not much difference between fears and anxieties. In technical, mental health terms there are some key differences between fears, anxieties and the times your anxiety symptoms get out of control and get diagnosed as a mental illness. Of all the mental illness, Anxiety disorders are the most common. In any given year one in five Americans will experience Anxiety so severe it should be diagnosed as an anxiety disorder. Prevalence rates around the world are very similar to the U. S. experience. Anxiety disorders are also the ones most likely to be seen by medical doctors as the symptoms often look like symptoms of physical illnesses. Fear in the mental health sense is a reaction to a thing or situation that cause an immediate reaction. You see something, something happens and you get that feeling you need to do something now. The standard reactions are to freeze, flee or fight. Say you see a poisonous snake and you become very scared. This sounds rational. But if you are afraid to visit a school because they might have pictures of snakes up in the science classroom, that is excessive and should qualify you for some kind of mental health diagnosis. Which diagnosis? We are not there yet. Anxiety, the mental health type definition, is a feeling of nervousness or uncomfortable about something that may happen in the future. 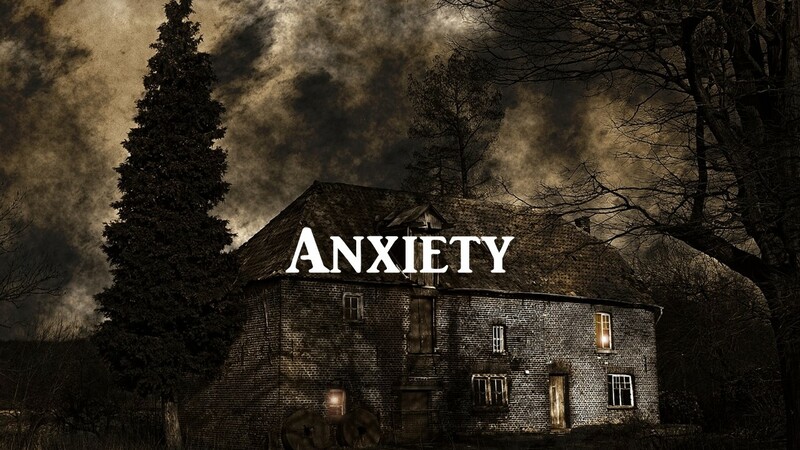 People with anxiety disorders become so afraid that something will or might happen in the future that they have to alter their present to avoid these possibilities. People commonly report that they have “Panic attacks” or “Anxiety attacks.” If the thing setting off the anxiety attack is something that has a real potential danger then having fear and freezing, fleeing or fighting might all be reasonable adaptive behaviors. Attacks of a symptom do not always equal a mental illness. While some anxiety disorders are brief most, to get diagnosed, need to be more than temporary conditions. The criteria for many anxiety disorders it’s that you must have had this anxiety for six months or more. Of course, during that time period, your anxiety may have episodes of getting stronger and other times it may be less troublesome. If it has interfered with your life for 6 months or more you most likely have an anxiety disorder. Not every case of nervousness or anxiety is the result of having an anxiety disorder. Someone who is depressed and has difficulty doing things they used to do is likely to become anxious. We include that kind of anxiety as part of the depression. Same thing when someone with a psychotic disorder becomes fearful and think people are watching them. That paranoia is part of the psychosis and does not get a separate diagnosis of an anxiety disorder. What makes this fear diagnosable is when it begins to interfere with or change your behavior or upset you. If you can’t leave the house or work because of your anxiety, that is probably a diagnosable anxiety disorder. If your extreme fearfulness, anxiety or hyper reactiveness start affecting your relationships, that is a probable diagnosis. There are a number of different types of anxiety disorders depending on what is causing your fear or anxiety. Further complicating this picture is that many people who have anxiety disorders have more than one kind. Having multiple anxiety disorders is considered very common. Since people with anxiety disorders have by definition “excessive” fear or anxiety it takes an outside observer, usually a therapist to evaluate the risk and see if this person’s fear is reasonable given their situation and their life experiences. Most anxiety disorders start in childhood, often before the end of middle school. Over time and untreated anxiety disorders get worse. The stats say two of every three people with anxiety disorders are women. I believe this is partly cultural. Boys and men are taught to approach what they fear. Attack it. Women are supposed to get away. This results in anxious men becoming more violent or using a substance to cover up their anxiety and as a result, they get a behavioral or substance use diagnosis. Physical sensations may be symptoms of anxiety. Different people experience anxiety differently. Anxiety symptoms are frequently physical and many people interpret their anxiety symptoms as a physical illness. If you experience an anxiety attack you may feel dizzy or light-headed. You may feel disoriented, have difficulty breathing or swallowing. The heart may race, you might sweat or tremble all over. Despite the feeling you want to run your legs could become rubbery or jelly-like. Some people experience gastrointestinal symptoms, constipation, diarrhea, nausea or feeling like you may vomit. Sleep disturbances, mind racing, and confused thoughts can result in Anxiety disorders getting confused with Bipolar Disorder and other mental illnesses. Here is the most recent list of recognized Anxiety Disorders. These are necessarily brief, general descriptions of the disorders in plain language. For the specific criteria consult the relevant edition of the DSM. For more on each separate disorder look for the articles I have written on specific disorders. I plan to write more of these posts on specific anxiety disorders in the future. You will find the link to other articles on anxiety below. This disorder customarily starts early in life. The child is afraid to leave or be away from a caregiver. They may think that something bad will happen to them or the caregiver if they are separated. We used to think of this mostly as a disorder of children and that they should “grow out of it.” We are starting to think that you can have this at any point in your life and that many clingy needy adults had this and or an attachment disorder since childhood. Someone who speaks normally at home but is afraid to or refuses to speak when in public or around strangers fits the description of Selective Mutism. The criteria for this disorder does not imply that the child is being poorly behaved but just that they are so afraid they can’t speak around strangers. The result is poor grades or school failure. As they get older this may lessen but again there are adults who just avoid speaking around strangers as much as possible. Spiders and snakes, blood, heights or flying can all be objects of a specific phobia. With Specific Phobia we can point to things or situations that are the cause of the anxiety. People with specific phobias often had fears of several things or situations and may have other anxiety disorders as well. In this disorder the anxious person is afraid of social situations where others may watch them, evaluate them or otherwise form an opinion about them. The fear here is about doing something “wrong” or being judged. This is about having your peer’s think poorly of you, what you wear or how you do things. In severe cases, people avoid eating in public or going to social gatherings. A Panic disorder involves many of the physical symptoms we talked about above. The person having the panic attack may have shortness of breath or chest pain and think they are having a heart attack. Having had one attack people become afraid to leave the house for fear they will have another and not be able to get help in time. Agoraphobia translates as “fear of the marketplace” mostly this involves crowded situations. Fear of buses, standing in lines, crowded places, stores, and similar situations. In severe cases, the person becomes unable to leave the house to go shopping and either needs someone to go with them or just go at times the store will be very empty. This involves being over-anxious all the time. A person with Generalized Anxiety Disorder is anxious all the time about most anything. There may be real life causes for this anxiety, like living through a war or being assaulted or harmed. The professional has to look carefully to separate this from PTSD or other Trauma and Stressor-related disorders. There are also diagnoses for anxiety problems caused by drugs, medications, medical conditions or other factors. This entry was posted in Anxiety, Emotions and Feelings, PTSD & Stress and tagged Agoraphobia, Anxiety Attack, Anxiety or fear, Generalized Anxiety Disorder, Panic disorder, Selective Mutism, Separation Anxiety Disorder, Social Anxiety Disorder, Social Phobia, Specific Phobia by David Joel Miller. Bookmark the permalink.